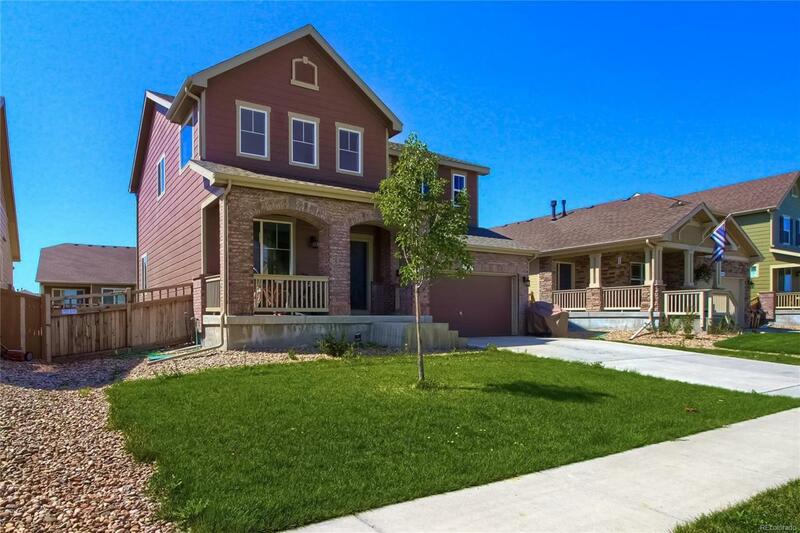 Welcome to this beautiful two story 4 bed 2.5 bath home in Brighton Crossing! Open floor plan with an amazing kitchen featuring granite counters, a huge island, plus an eating nook that flows right outside to your fenced in back yard! Great room concept with the kitchen opening up to the family room, featuring a gorgeous gas fireplace and mantle, plus theres a bonus flex space off the family room with a built-in desk, and a powder room for guests. All 4 bedrooms are upstairs, as well as the laundry room! 5 piece master bath plus vaulted ceilings in the master bedroom! Walking distance to the community pool, which is being completed upgraded! Several community parks as well are nearby! Easy access to I-76! Close to DIA, Barr Lake, and Downtown Denver! Dont let this home slip away!